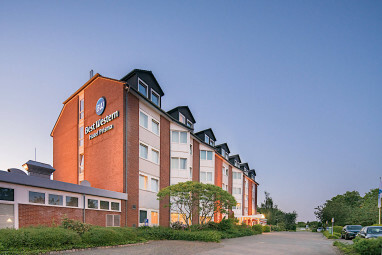 The Best Western Hotel Prisma is situated in the middle of Schleswig-Holstein, only 2 km from the city centre of Neumünster and 4 km from the motorway A 7. It doesn’t matter if you come by train, by bus or by car – you can always „land“ in Neumünster. 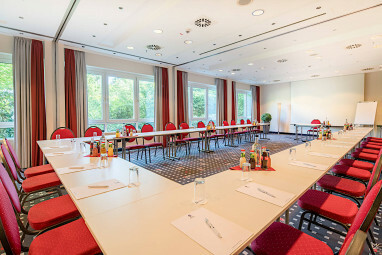 The Best Western Hotel Prisma disposes of 93 modern equipped rooms, shower or bath/WC, hair-drier, telephone, radio, data set, Sat, Pay TV and minibar. In the whole ground floor you can work with Wireless LAN for free. Right in front of the hotel is a parking lot for our guests and we also let some garages. The hotel also has some non-smoking, anti allergic and handicapped accessible rooms. For a fee pets are allowed. We care to array a baby bed for the smaller ones. 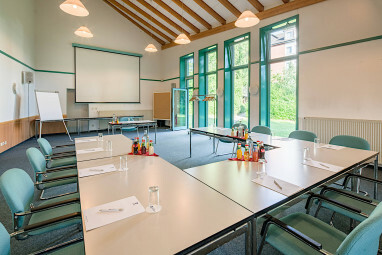 In our conference area with 6 modern equipped seminar rooms is enough place for 5 until 160 persons. In restaurant and cafetera „campinos“ is always a manifold and different kind of food and beverage on a high level on offer. If you are a sports fan you’ll love the „Sports-Bar“ at first floor. Sport and of course soccer on TV non-stop....After a hard day you’ll perhaps relax in a beach chair in our quite garden? Or would you prefer a visit in our gym with Sauna? For a small fee bicycles can be hired at reception and we also offer a lot of bicycle routes to the surrounding of Neumünster. 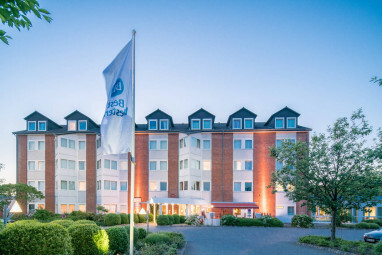 The BEST WESTERN Hotel PRISMA disposes of 93 modern equipped rooms, shower or bath/WC, hair-drier, telephone, radio, data set, Sat and Pay TV and minibar. In the whole ground floor you can work with Wireless LAN for free. Right in front of the hotel is a parking lot for our guests and we also have some garages. The hotel also has some non-smoking, anti allergic and handicapped accessible rooms. For a fee pets are allowed. We care to array a baby bed for the smaller ones. The prices are per room/night and breakfast, service charges and VAT are included. Prices for exhibitons are available on request. After a hard day you’ll perhaps relax in a beach chair in our quite garden? Or would you prefer a visit in our gym with sauna and steam bath? For a small fee bicycles can be hired at reception and we also offer a lot of bicycle routes to the surrounding of Neumünster. 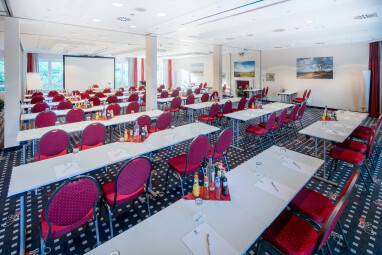 8 meeting rooms that can accommodate up to 200 persons with state-of-the-art equipment. 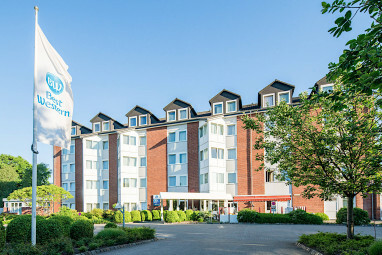 The BEST WESTERN Hotel PRISMA is near the exhibition centre Holstenhallen and only 2 km from the city centre of Neumünster. You have a short distance to the motorway A7.